The tripods of these SOFs were made from aromatic bipyridine molecules whose trio of struts or arms were interlocked with the struts of their neighboring molecules through the macrocycles, which were made from cucurbituril molecules. The molecules used in this study were proof-of-principle starters. Other molecules for the struts could be employed in the future for the design of similar or more complex architectures. The 2D single-layer structures of these first SOFs were characterized at Berkeley Lab’s Advanced Light Source, another DOE national user facility, using small angle X-ray scattering (SAXS) technologies at beamlines 12.3.1 and 7.3.3. Yi and his collaborators at the Molecular Foundry and in Shanghai are now working to create soluble SOFs in 3D. 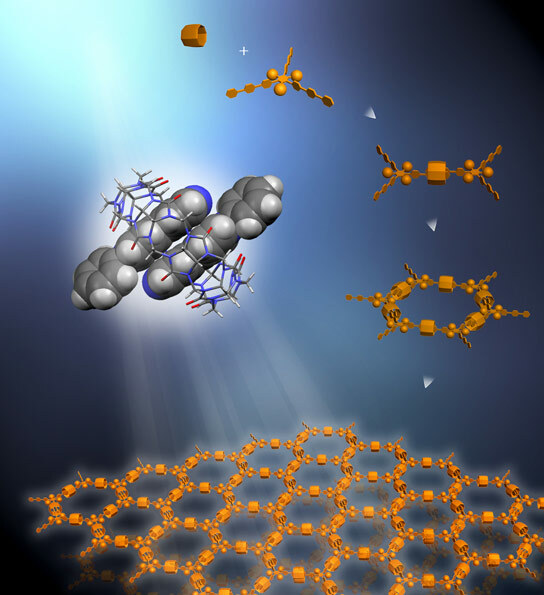 In addition to the corresponding authors, other authors of the JACS paper were Kang-Da Zhang, Jia Tian, David Hanifi, Yuebiao Zhang, Andrew Chi-Hau Sue, Tian-You Zhou and Lei Zhang. 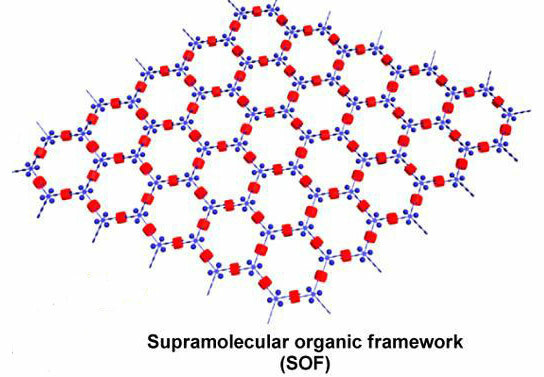 1 Comment on "Berkeley Researchers Create First Soluble 2D Supramolecular Organic Frameworks"